Mix together the wheat flour, salt, the water and yeast mixture and oil until it all comes together in a dough. Turn this dough out onto a lightly floured surface and place it back in the mixing bowl. Cover, and leave to rise for about an hour. Pre-heat the oven on its hottest setting. Turn the dough out onto the re-floured surface, and roll out to a thin disc. Spread tomato sauce evenly onto the base and the mozzarella slices. Slide onto the hot pizza stone and cook for about 10 minutes. It’s cooked when the dough around the edges is crusty. 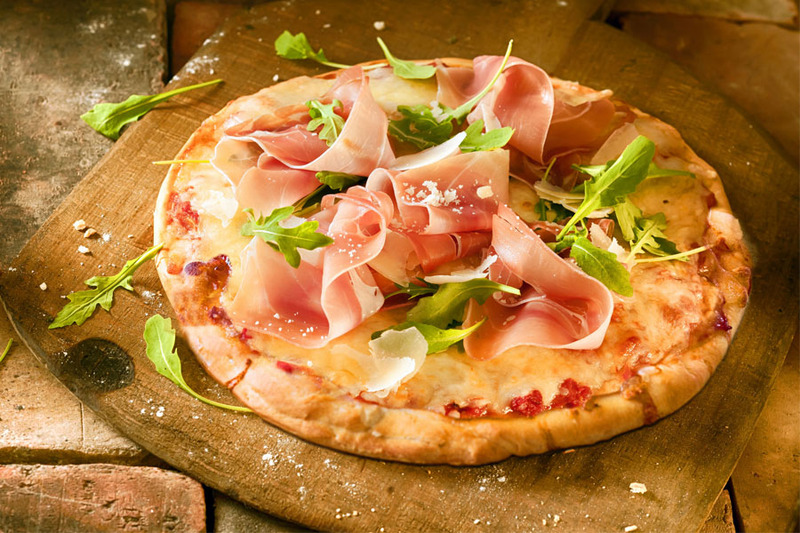 Garnish with slices of Prosciutto di Parma PDO and rocket leaves.